$239 on eBay. 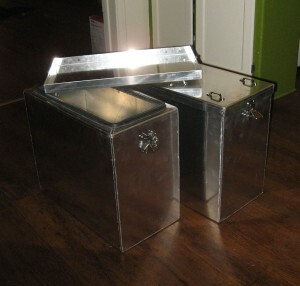 Welded aluminum, lockable latches, rubber sealing. 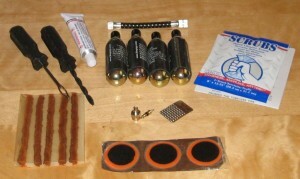 Now we need a way to mount them on the bike. 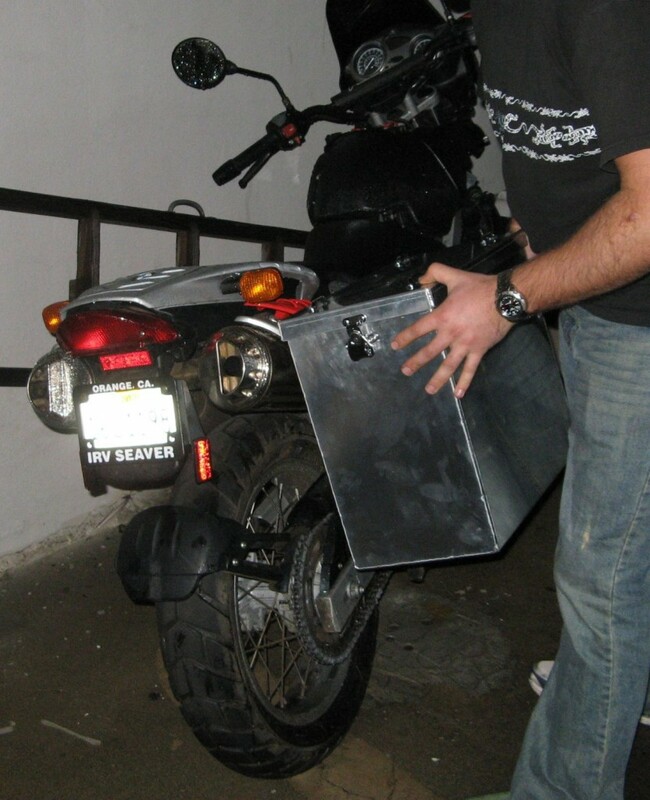 Together with the tire irons and the bead breaker, this one will make our lives way easier in case of flat tire. 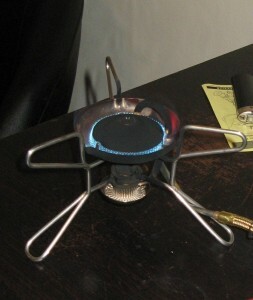 MSR manufactures a range of backpacking stoves. 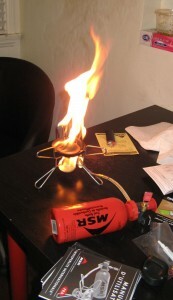 We decided to go for one that Whisperlite fits our needs, since it can burn a wide variety of fuels. 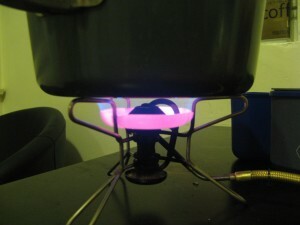 After nearly missing the chance to set the kitchen on fire during the primming phase, this stove proved capable of boiling 600ml of water in 5 minutes. 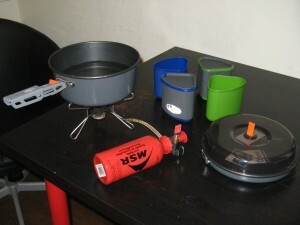 Together with a set of GSI Bugaboo pots/pans/cups, the stove shall help us have a hot meal now and then.